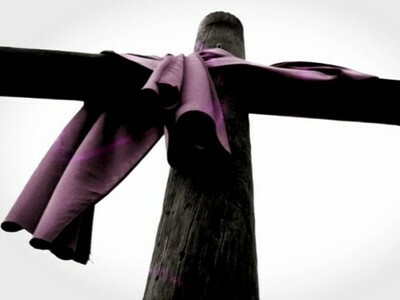 In the Meantime...: Holy Week reflections. Holy means "set apart." This week leading up to Easter is a week that the Church has set apart for centuries. It's easy, in preparations and celebrations, to get side tracked and lose focus on what truly is happening during the week that leads up to Easter. Even if you haven't yet, I challenge you (and me too) to set apart the rest of this week in reflection on Jesus' Passion and what that means in your life. The temple had become a marketplace. Instead of people bowing their hearts, they were turning a profit. A pretty far cry from God's original intention. Reflection: "When God first drew me into a relationship with him, he had something good, pure and life-changing in mind. Is my relationship with him still characterized by that simple purity and life-changing devotion? Prayer: "Lord, forgive me for cheapening your presence in my life. Fill the temple of my heart with your over-powering glory once again." So, when Jesus got to the temple did he think "What good is a temple if people don't meet God there? It's supposed to be a place where your soul gets fed. That's its purpose after all. Not just to look pretty." On the outside, the temple was a busy place (just like the fig tree: it had a lot of leaves), but on the inside it was dead (just like the fig tree: it didn't bear any fruit). The temple was supposed to be a "house of prayer", instead it had become a place of preoccupation and spiritual distraction, robbing people's hearts from their God. So, Jesus "cursed" the temple too, by clearing out the money changers and teaching the merchandisers a lesson: this isn't what it's supposed to be like! Reflection: "I sense my life is cluttered with things that distract me from connecting with God on a more intimate level. What things do I need to clear out of my life? Am I really willing to declutter my life? Am I willing to simply pray and wait upon God? Or am I content with avoiding God by doing the business of 'Christian activity'? I will take time to listen to God and meet with God this week. "Prayer: "Lord, clear out my heart. Do what you will, even to the point of 'over-turning' my tables. Remodel my inner world."